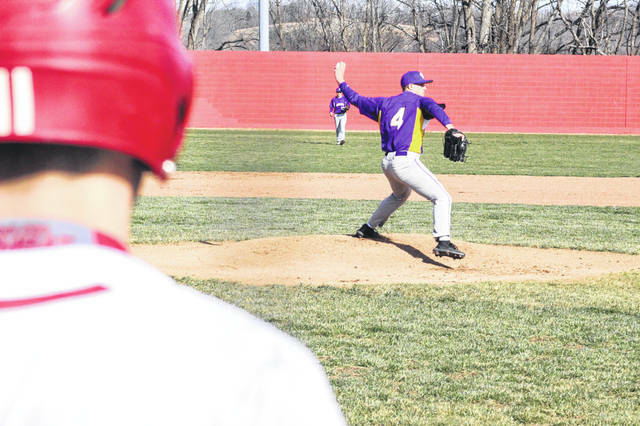 Valley senior Tanner Cunningham allowed just one earned run in the Indians road loss to Minford Monday night. The Minford Falcons came out on top 3-0 in their rematch from the 2018 regional semifinals against Valley. Minford ace Ethan Lauder pitched seven shutout innings in the Falcons home win over Valley Monday night. MINFORD – Minford is dangerous. That might seem obvious considering the Falcons (6-0, 3-0 SOC II) returned most of last season’s regional championship squad, but it was even more obvious following their 3-0 win over SOC II rival Valley (2-5, 0-3 SOC II) Monday night on their home field. The thing that makes Minford so dangerous is not one aspect of their game, but all of them. Their three runs scored Monday night in the win were the fewest they’ve scored so far in this young season, the second fewest being seven. 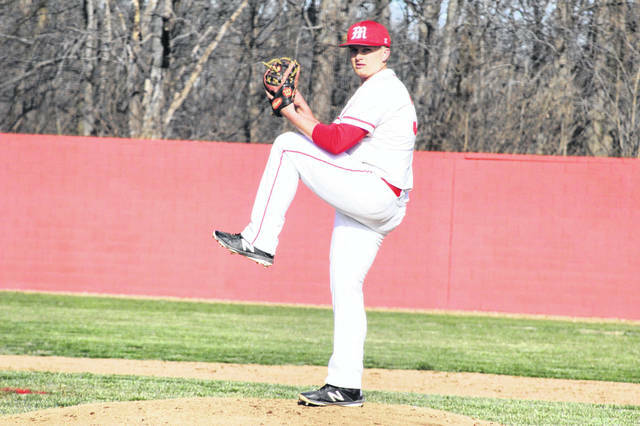 On an “off night” in which they produced three more than their opponents, Minford’s pitching and defense also continued on a tear of their own. It’s been nine calendar days since the Falcons have allowed a single run. In those nine calendar days and subsequent four games, Minford is outscoring their opponents 29-0. At the forefront of that pitching dominance is senior ace Ethan Lauder. In the Falcons win over Valley Monday, Lauder went the distance, pitching 7.0 IP while striking out just one batter and giving up eight hits. It took until the bottom of the fifth to get the game’s first run when senior Bailey Rowe crossed home plate after an E5 to give the Falcons a 1-0 lead. Following Rowe’s run and with Brayden Davis and Darius Jordan in scoring position, Elijah Vogelsong hit a clutch single to center field to drive in both runners to move Minford ahead by what would be the final score, 3-0. A large reason the Falcons were limited to just three runs was, as Knittel said, the extremely solid outing from Valley senior Tanner Cunningham. In 6 IP, Cunningham allowed just five hits and one earned run while striking out four Falcons. 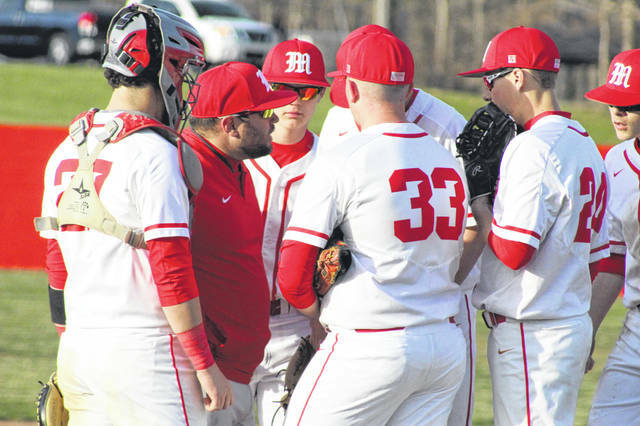 Minford will take a day off Tuesday before making the short drive to Lucasville to face the Indians once again, a game that Knittel is hoping to see the bats come more alive than they seemed to to start the series.